At first, I wondered if that analogy was too much of a stretch. After all, most eTailers and direct sellers don’t hold people’s lives in their hands. But then I began to consider everything I’ve learned from being part of the aviation community and realized that the two disciplines actually do have a great deal in common – especially when they’re being done well. With that in mind, fasten your seatbelts , because I’d like to share five “plane” but essential DOs and DON’Ts regarding order fulfillment solutions. Have you ever glanced into a cockpit as you’re boarding a plane? If so, you’ll notice that both the pilot and first officer aren’t eating bon bons. While you’re busy trying to find room in the overhead bins, they’re testing each part of the aircraft to ensure it’s in good working order – and collecting many other vital pieces of data (like the latest weather reports) that will be needed to ensure a safe journey. 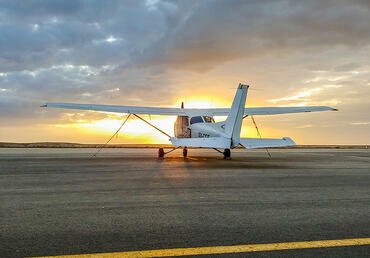 They call these activities a pre-flight, and safe planes absolutely, positively can’t leave the ground without one. It’s a similar story with your order fulfillment solutions, where planning, data and precision are worth their weight in gold. For example, the more detailed you can get during your “pre-flight” about what your sales velocity will be by item, the more effectively your 3PL or fulfillment managers will be able to slot your product and configure your pick lines – allowing you to avoid random or haphazard product arrangements that lead to higher travel times, longer order fill times, and— ultimately – higher fulfillment costs. No matter how clear the weather seems to be, commercial airplanes aren’t permitted to take off without working instruments on board – because as any pilot will tell you, these tools often provide a better view of what’s happening than the naked eye, especially if conditions deteriorate during a flight. Logistics visibility tools and processes are equally critical for your order fulfillment and shipping processes. As evidence, consider the warehouse management system (WMS). While it’s certainly possible to manage fulfillment processes without one when your company is just starting out, such a manual, “no instruments” approach will become increasingly less feasible as your sales take off. Eventually, if you wait too long to invest in a system, packing errors will become more common, the time to fulfill each order will increase, more items will get misplaced, and some inventory may even expire because it wasn’t properly positioned. The typical plane comes equipped with numerous back-up systems for essential functions. It’s a key part of creating a safe flying experience for all. In the same vein, smart eCommerce companies always have myriad back-up plans and processes for their fulfillment, especially when it comes to peak season – because that’s often when speed, service, and quality have the greatest potential to lose momentum. Among other things, these plans and processes might consist of vetting different parcel carriers, contracting with an outsourced fulfillment center, or checking in with your local temp agencies to ensure those agencies will actually have the personnel needed when the time comes (because remember, many companies’ peak seasons happen at the same time). The more checks and balances like these that your company can put into place while things are calm, the less likely you are to encounter customer service turbulence as order volumes ramp up. Flying a plane is never a one-size-fits-all proposition. For instance, although I pride myself on being a highly skilled general aviation pilot, that doesn’t mean I have what it takes to operate an F-14 – or that I’d be a good fit for a commercial airline. Because, ultimately, it’s essential to ensure that a pilot’s skills and experience match an aircraft’s size, scale, and complexity. Navigating the challenges of eCommerce order fulfillment is no different. As businesses grow and gain traction, their fulfillment often turns into a very different kind of animal with far more variables and volumes that need to be accommodated. Which is usually when it’s time to bring in a professional with more warehousing, picking, and parcel shipping expertise – or a nationwide fulfillment provider that can help you scale fulfillment operations and bring those same kinds of complex, large-volume skill sets to the table. In closing, allow me to briefly recap a flight-related story I shared during the previously mentioned podcast. Several decades ago, a large jet tragically crashed into Florida’s Everglades. All three flight crew members became so preoccupied with addressing a green light that flashed on the control panel, that they neglected to monitor another pretty important warning sign – the rapidly approaching ground. They became distracted by what turned out to be a minor warning signal and forgot the major business of flying the plane. Your business is full of many significant green lights that clamor for your attention, including order fulfillment. But, as an entrepreneur or senior executive, should your attention be deflected away from the big picture task of making your business fly? Should You Outsource Order Fulfillment? No matter how hectic things get, it’s always important to keep your eye on the prize and ensure your time and energy are focused on doing what you do best – driving sales, managing talent, controlling product quality, and overseeing your organization’s overall success. Keep this in mind as you decide whether or not it’s wise to continue managing your order fulfillment solutions in-house – or whether you’d be wiser to delegate the responsibility for monitoring that “green light” (and handling the many activities it represents) to a third-party specialist like Amware Fulfillment. Contact us if you’d like to discuss the varied ways we can help.